This publication is the result of more than 10 years of painstaking research into Australia’s Group races. Unfortunately, due to a lack of “kept” historical data by our racing bodies, the rich history of our sport has been virtually lost beyond the digital age of the past 20 years. Racing In Australia is The Slattery Media Group’s contribution to reviving that lost information. After an absence of eight years, The Slattery Media Group published a revised edition of Racing In Australia in 2016. 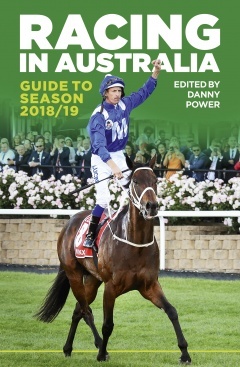 So well received was it that Racing In Australia, in its new format, is now in its third year, covering all last season’s Group 1 and Group 2 results with extensive analysis. This unique publication not only displays the impact of nearly 170 Group 1 and Group 2 races, but also analyses the statistics beyond winners and losers into meaningful information that can be used by racing fans, trainers, jockeys, race clubs and the media. Apart from an extension of the analysis, each race includes the leading all-time winning jockeys and trainers, as well as the winning record of our current jockeys and trainers. Racing In Australia also details the Group 1-winning record of not only our famous horsemen and women, but also all current trainers and jockeys, including the historical premiership winners for all states going back more than 100 years. Nowhere else will you find this most of this important data.